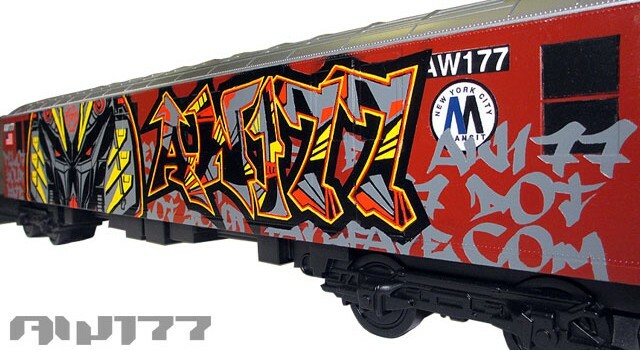 The All City Style 20″ long subway train “canvas” allows artists to express themselves freely while paying tribute to the movement and culture that inspired a generation. 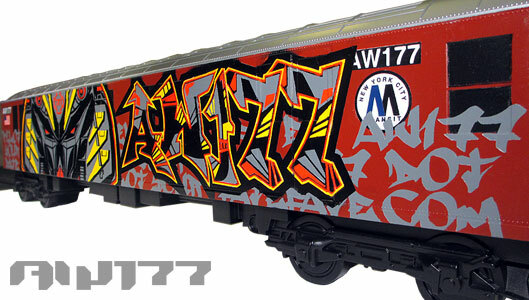 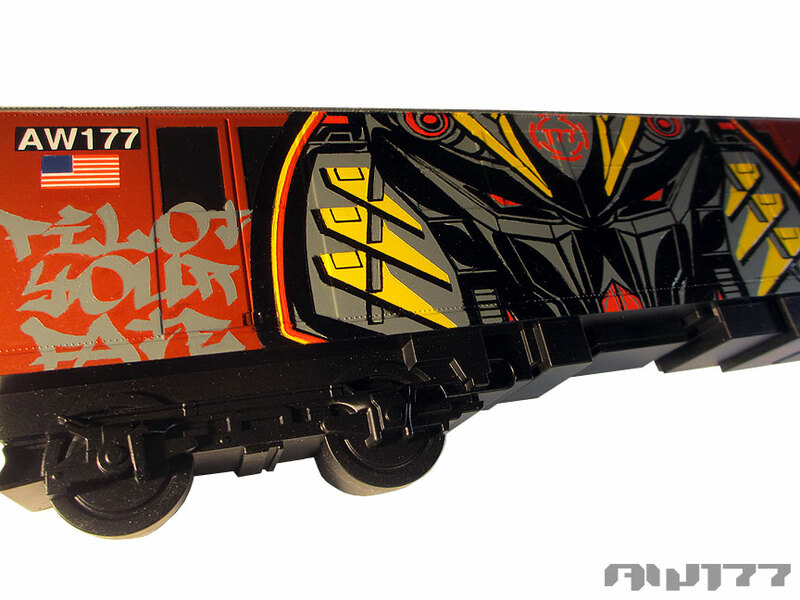 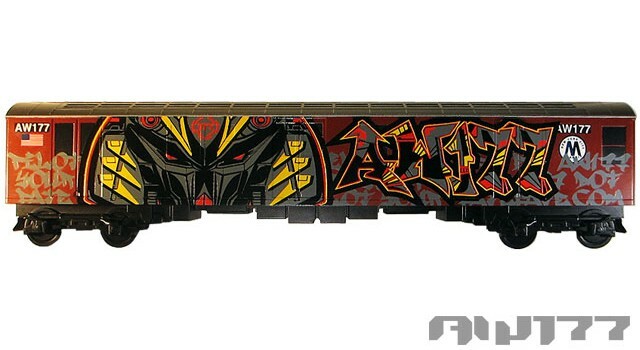 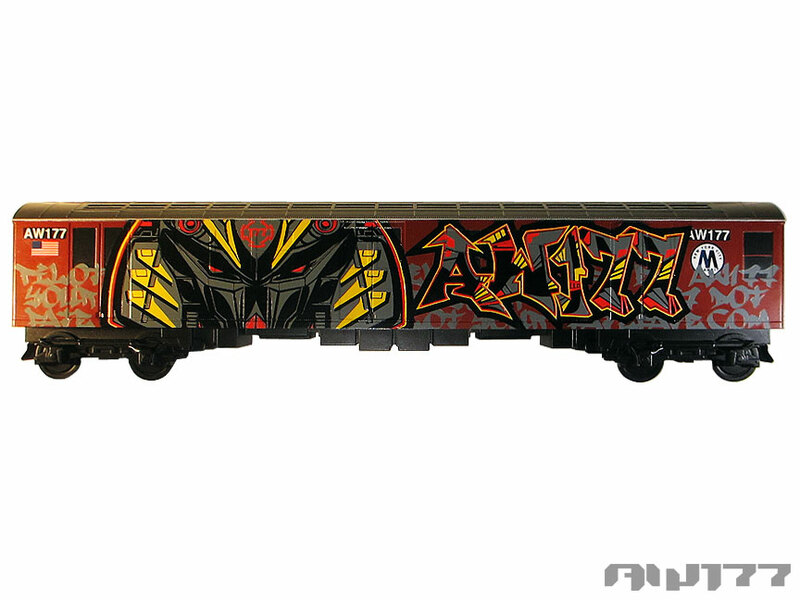 Mine is a homage to the awesome colors and styles of the graffiti trains back in the day, as well as an expression to always pilot your own fate. 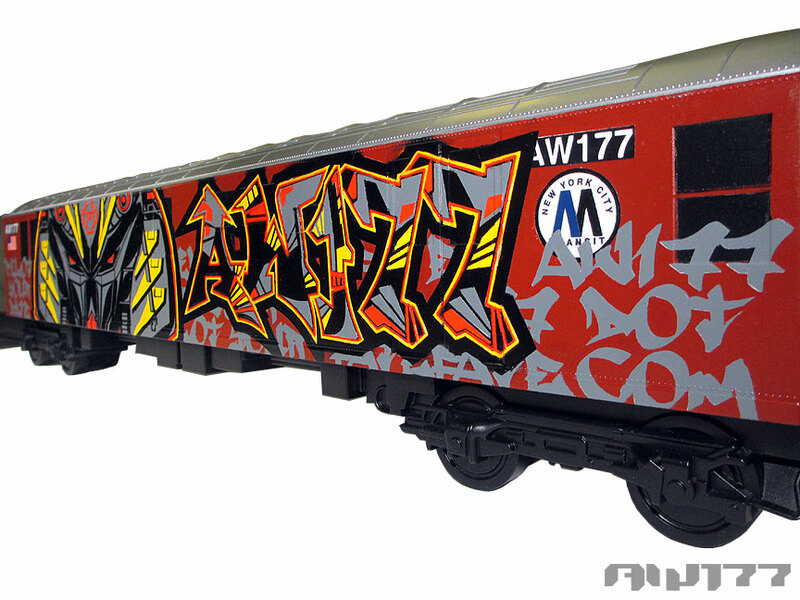 I used to take those MTA redbird trains all the time and wanted to put a bit of my own experience riding them into my piece. 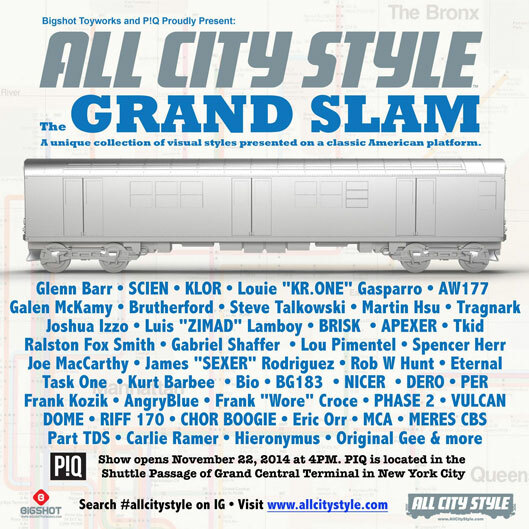 If you got time, come out to see the show – it should be up for a month. 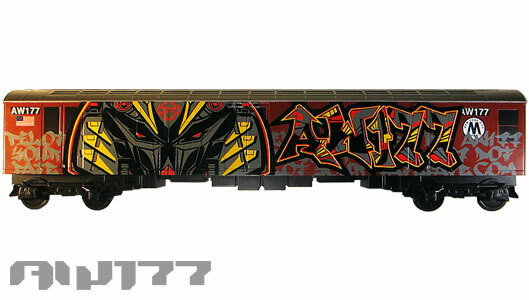 Props to Tenacious Toys Benny and Bigshot Toyworks Klim for inviting me to be in such an awesome show! 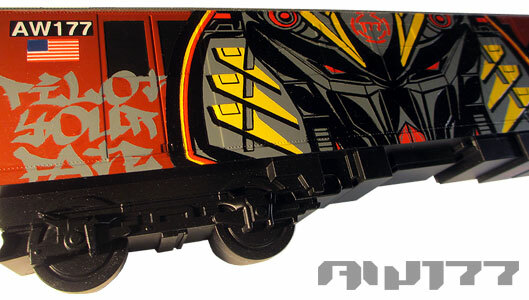 A new blog article about the show will be posted!